Wordpress plugins… there are hundreds and thousands of them. And no matter how many you’ve see or used, you’ll still be discover more surprising ones. SexyBookmarks is one such wordpress plugin by sexybookmarks.net. 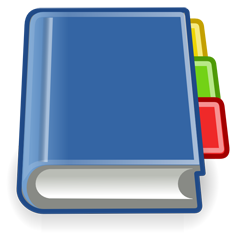 SexyBookmarks is a bookmarking and sharing plugin which allows your blog visitors to bookmark and share your content. And for that purpose it adds icons for those services to your posts. However unlike other plugins this one comes with some cool animation and hover effects (you can see it below this post if you are reading this on the site — and if we haven’t changed it). It feels slick and web 2.0..ish (if that’s a word) and is remarkably attractive. The beauty of it is that being so beautiful it draws the visitors eyes and effortlessly serves it’s purpose. It comes with comprehensive options and you can customize it to your needs. At the end of the day I’m sure you wouldn’t want to miss such a plugin. Grab SexyBookmarks here. We’re glad you’re impressed/happy with the plugin, and do feel free to let us know if there’s anything you’d like to see in future releases! It’s an awesome plugin, however it seems to have been taken off the wp plugin’s market.